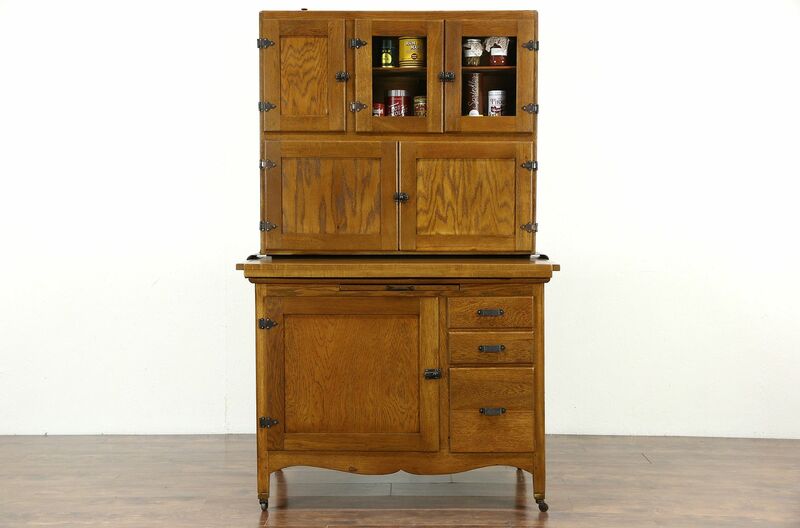 A classic "Hoosier" style oak kitchen cabinet from about 1915 has a maple work surface and an original flour sifter. The restored finish is in excellent condition on this American made antique furniture, there is a tin bread drawer. Hardware is original as well, there is a pull out bread cutting board. The hard maple work area is rebuilt. Measurements are 44" wide, 28" deep, 69" tall and the work top is 33 1/2" high.